Climbing 101: Your Guide to Getting Started This Spring Climbing Season! Today is officially the first day of spring! it’s time to get back outdoors, get active, and try new experiences! I wrote this article for the excellent Pocket Ranger blog for first time climbers this season! Bouldering is scrambling up large boulders without the aid of a rope or a harness. In most cases, the boulder is not tall enough to cause injury in the event of a fall. Bouldering is a great start for new climbers because it teaches proper hand placement, weight distribution and body positioning. This is where the climber is affixed with a harness and climbing rope that is secured to a rope that hangs from a fixed point at the top of the route. The climber teams up with a belay partner whose responsibility is to act as the climber’s anchor and control the flow of the rope and its tension. The climber is held securely in place by the belay partner’s weight, so if they let go of the wall they are suspended in place. Once the route is completed, the climber takes their body off the wall, and the belay partner slowly lowers the climber. The most advanced of the three styles, lead climbing begins with the climber affixed to a rope from below. As they ascend the wall, they must clip themselves into strategically placed points, which protect the climber from falling, while he or she continues up the route. Unlike top roping, the climber is given a generous amount of slack rope providing for a greater range of motion. If the climbers fail to clip themselves before a fall, they run the risk of dropping a great distance before their protection catches them. Climbers are initially introduced to the basic knot: figure eight. 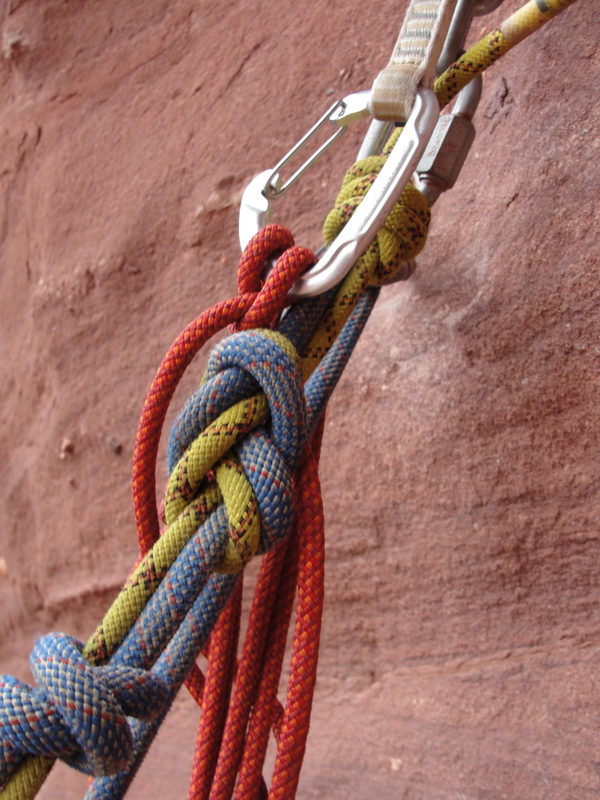 This knot serves two purposes: it creates a secure link between the rope and the harness and it acts as a shock absorber if the climber falls. When the climbers affix themselves to the route that they choose, they learn to tie a double figure eight, securely following the lines of the original knot. 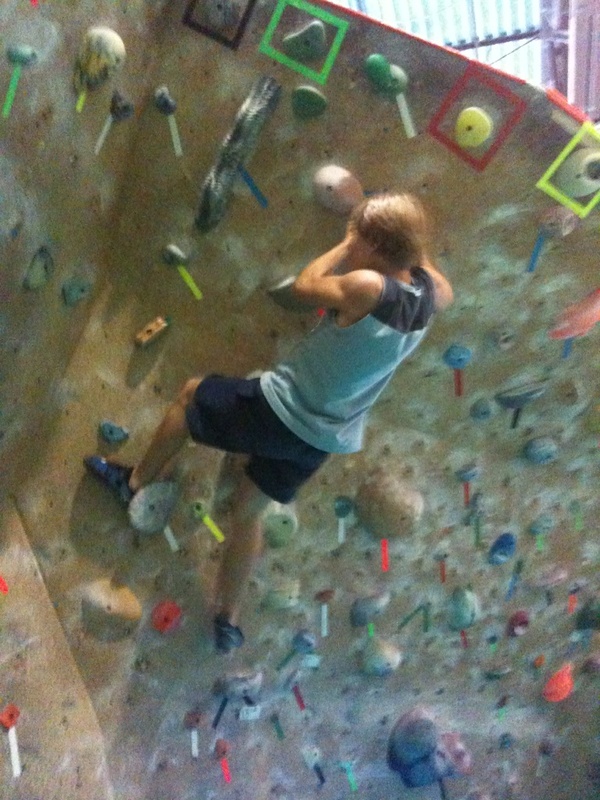 An important part of climbing is managing strength. Climbers who frequently use their arms to get up a route tend to over-exert themselves compared to a climber who comfortably positions their feet and stands up to be within reach of the next hold. Paying attention to difficulty levels labeled along the route is recommended for beginners still gauging their strength. 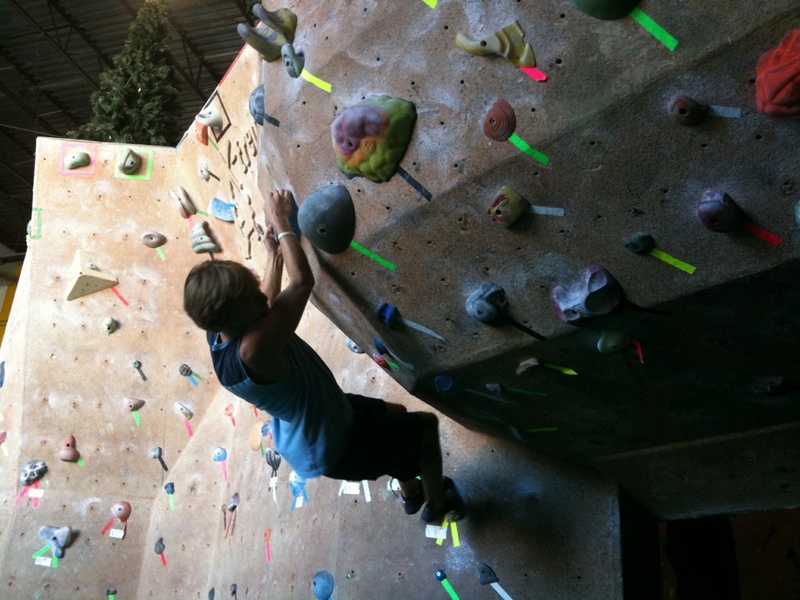 Once the basic skills are mastered, climbing is an alternative, dynamic and, not to mention, challenging work out. With good safety skills and communication it can be an enjoyable experience. Nice man! Now the crag are going to be even more congested. Just kidding, excited to see all you “new to the greatest sport in the world” climbers out there! The sport is growing man, and it’s going into all sorts of positive directions. The only think I would want is that we breed a new generation of environmentally conscious climbers who practice the sport responsibly. It really is the greatest sport in the world! It really is growing. It is going to be interesting to see how it is filtered into our culture, such as the way surfing is now. I completely agree about the environmental impact. Something as simple as packing your trash can make the slightest difference. Not only, they’ve had to close down climbing in Arches NP because it was eroding the rock. 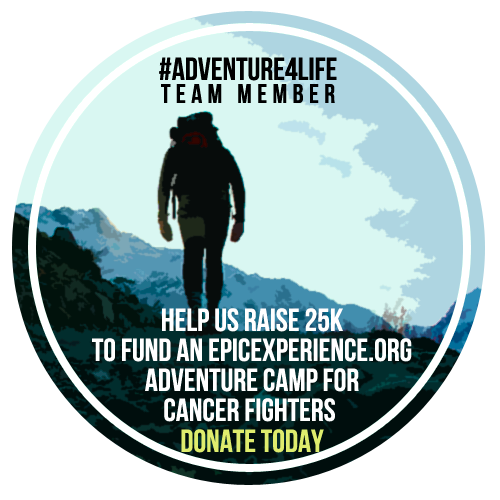 Climb in areas where it’s allowed, protect the areas that are in danger, and support organizations to keep the parks open year round. I see big things for the sport! Not to mention some of the closures in the gorge. The sport being in the Olympics is going to be huge, granted that is 8 years form now. Where are you from? Where do you climb? I am in Santa Barbara, CA. Climb mostly around the area here and then a bit in J Tree. I can only imagine. I am actually taking my first trip to florida in a month. I won a cruise through my work and our airfare is taken care of so my wife and I are going to go to orlando for a few days before the cruise. The cruise actually has a climbing wall on it so at least I wont be totally cut off. Great to see people out there climbing and having a good time 🙂 the more the merrier! Me and some friends have been building a training app which we hope really can finally provide users with everything they need in one place to build their training schedules and become better, harder climbers.